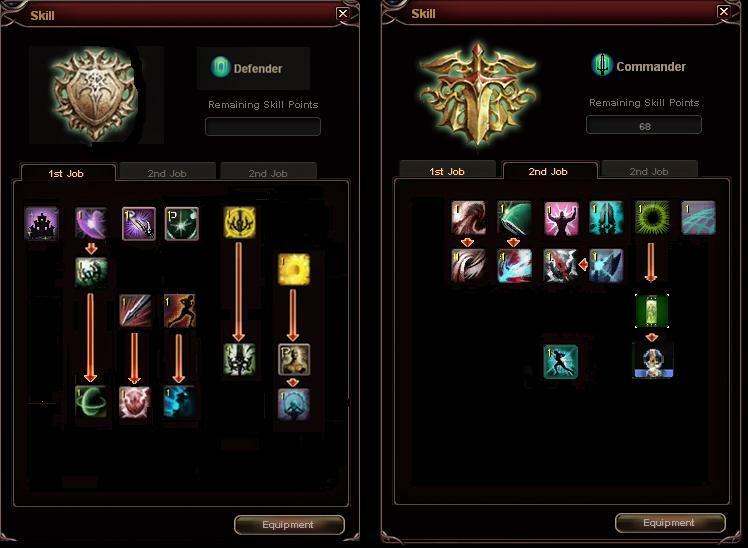 Can anybody write down how skills gonna change on defender-commander tree and when? after 1 or 2 or 3months or later? and soon far more tks mythic DC weapons : cool story : best shield had around 500 block def , now with Mythic Cherry a good shield hit 600 block def at +30 !! WooohOO ! too bad. meanwhile they release a crossbow ( and i suppose a dual , didn't see it yet ) that is just doing DOUBLE damage on basis + 0 comparing to a trinity . AH AH AH , men ! you are so funny with your sense of balance , really ! can't wait to see 01110 hitting 4,5k per sec on 100% block , yeah !! but whatever eh ? losing subject. a commander ? pfffffffffffffffffffffffffffffffffffffouahwoahouhouh ouh , man , you are so funny low dps. no heals. adamant ? whatever , keep it you will die with it in less than ten secs under crazy dps anyway , unable to kill tank nukers. and as said before : don't realx it's not over . now we wait for sins and SR big return . really gaining 1/6 more block defense while they gained double damage. why complaining ? it`s not that hard to assume things if you look at the Zerk/WL changes. You just have to reverse the Skills , when Zerk has a long range Caster deflect , Commy might get a short range Mele deflect similar to "Godly Mirror". Edited by Sandyman, 20 June 2015 - 07:00 AM. it was mine too , years ago , when i start the game. but Commies already suffer from three majors historical nerfs. and that's part of the reason why there are so few today. and like for avenger with trap/totems removal , each time a predator disappear , his baits multiplicate and become the strongest aka defis , mystics...etc. as nukers turn tankers TOO , the poor commie that is already not as hard hitting than zerk or sin can't complete his mission. So he choose to disappear making them even more OP. at the very start (wasn't there) they said they can perma ady minds : cries, cries , cries of others ==> removed now you have few seconds of vulnerability . not enough for some. but cause they are noobs . counter measure are easy : even with only one sin : Soccer kick CD is faster than ady , so it won't stay long anyway. or you can lithi the commie. don't even talk about battle : rarely NO sins or only one. you are like a light in darkness : be sure sins will run on you for removing your ady. last step was when they made low blow CD at "near 5 sec" when it was near 15 sec before . won't complain : i like it. it's the most powerful damages added skill in turan physics trees. commies skills do less ! (yes , yes ) but ok , have some DoT to make the differences. but anyway . when i test it back then . i was assuming that i was almost as "hard" hitter than commie and far more tanky. that was the "coup de grâce" to my eyes for commie class. yeah of course i don't have adamant . whatever. dps kill them with adamant on. Yea, its true, u are right. Well, they made the zerks more stronger, elems also became better, so i think they can see they should make commies stronger, coz this class is almost unplayable now. Mages shoot 3k dmg on cap resist, a self heal would be very useful for us. I guess they wont nerf more, i just wanted to ask them what they gonna do, but maybe they still dunno yet im sure there are more ppl who loved commy, but they changed class coz of nerfs. Prot also good, maybe have higher dmg currently, but no silence, no rush,no slow skill, hard against mages i think. For me commy or nothing...we will see.. The "Commander" is dead and buried, had been struggling for years but, meh, could have been a little fun to try to play one (perhaps with mallwh*red equipment,yeah). I would just forget about it, like I did with mine. If you really want to, come and check in a year or two, who knows, maybe. If they ever get their heads out of their butts, that is. I know this stinky "version" of the game somehow manages to still be around, I just can not comprehend how someone with any reason and sanity left, would still bother with classes like "Commander", yeah, even out of pure nostalgia.